Russian President Vladimir Putin warned of global “chaos” on Sunday in a phone conversation with Iran’s president as the two men discussed the U.S.-led strike on Syria. According to a statement, Putin and Iranian President Hassan Rouhani discussed the missile attack that targeted a science lab and two chemical weapons depots and agreed “that this illegitimate action has seriously damaged the prospects for a political settlement in Syria,” the statement from the Kremlin said. President Donald Trump ordered the military strike early Saturday in coordination with France and Britain. The White House intended the strike to deter Syrian President Bashar al-Assad from using chemical weapons after a suspected attack using sarin and chlorine gas killed dozens of people last week in the rebel stronghold of Douma, east of Damascus. Putin and Iran have maintained their support for Assad despite his continued use of chemical weapons, which Russia said it would stop in 2013. On Saturday, the Russian government went so far as to introduce a U.N. resolution that condemned coalition forces for launching the joint airstrike. That resolution was voted down, earning “yes” votes only from Russia, China and Bolivia. But that didn’t appear to affect Putin’s opinion. 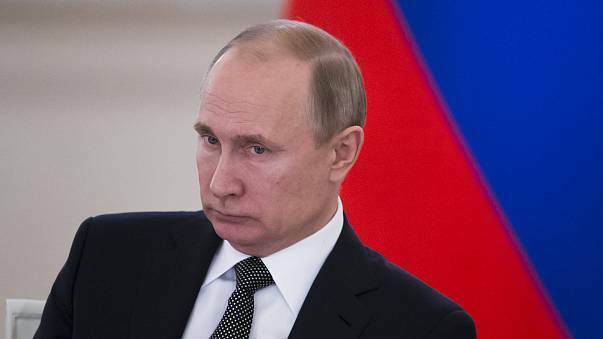 “Vladimir Putin, in particular, emphasized that if such actions continue in violation of the UN Charter, this will inevitably lead to chaos in international relations,” the Kremlin said in a statement about the call. Although the White House and the Defense Department made it clear that they intended to pursue only the one strike unless Syria used chemical weapons again, the U.S. ambassador to the United Nations, Nikki Haley, underscored that the United States is “locked and loaded” in her statement on Saturday. Haley followed up with an appearance on CBS’ “Face the Nation” on Sunday in which she promised further consequences for those allied with Assad, namely Russia and Iran.